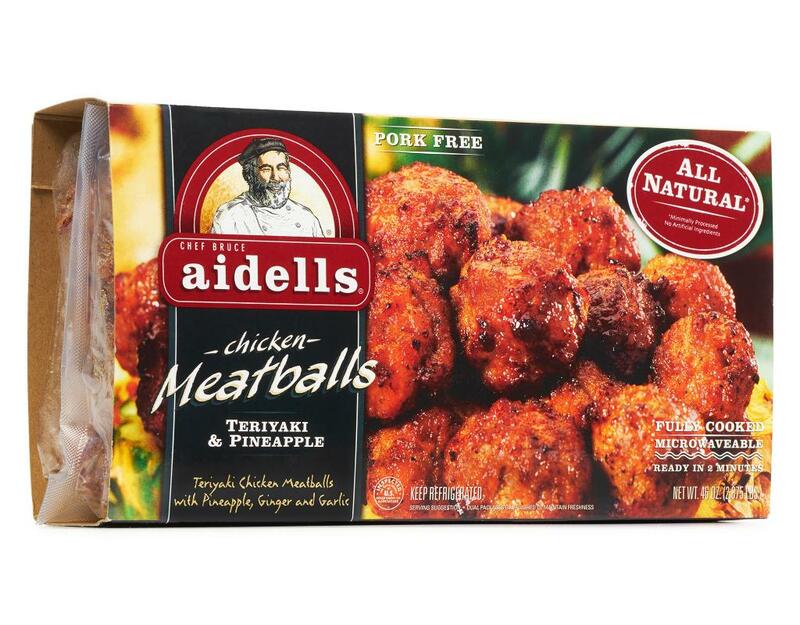 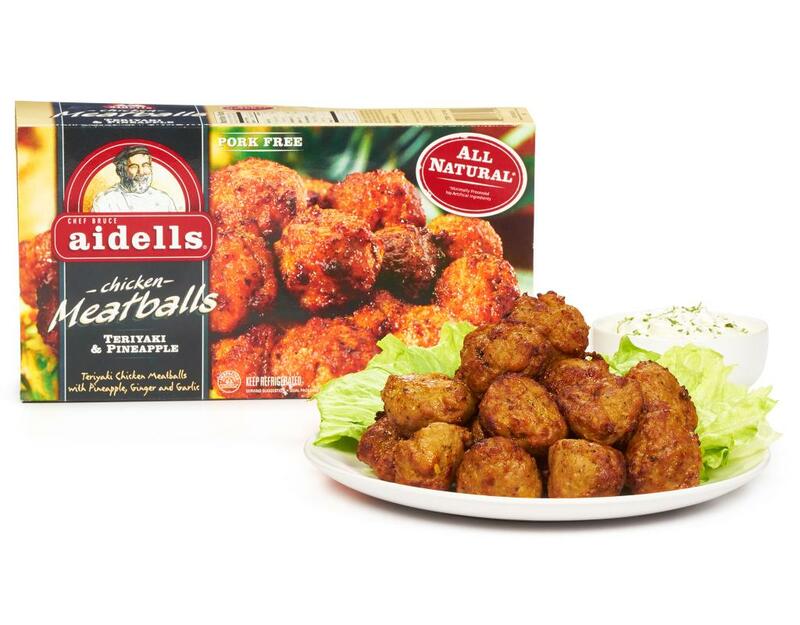 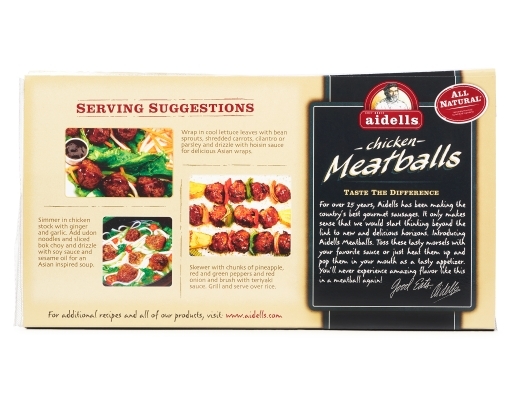 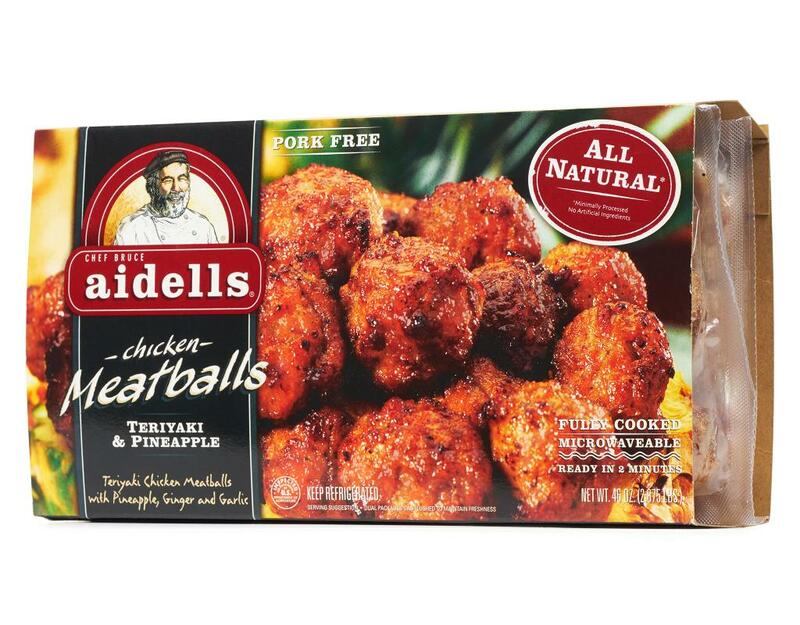 These meatballs are crafted from juicy chicken and infused with Asian flavor: ginger, soy and bits of real pineapple. Add them to a veggie stir fry or skewer them with pineapple and bell peppers for a quick weeknight dinner on the grill. 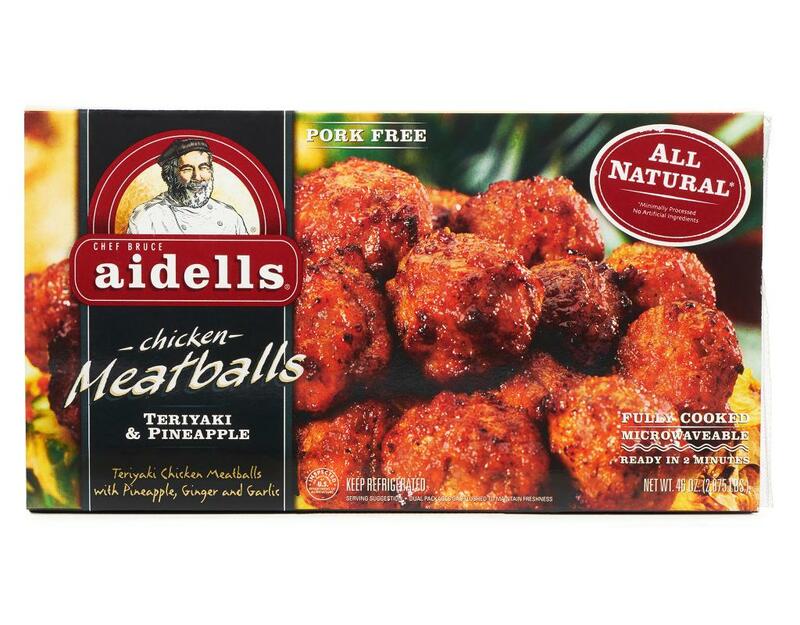 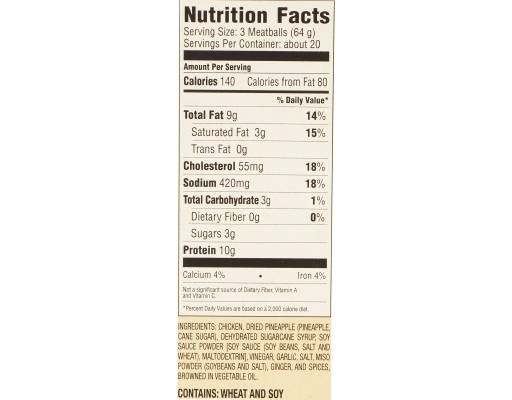 Ingredients: Chicken, Dried Pineapple (Pineapple, Cane Sugar) Dehydrated Sugarcane Syrup, Soy Sauce Powder [Soy Sauce (Soy Beans, Salt And Wheat), Maltodextrin, And Salt], Vinegar, Garlic, Salt, Miso Powder (Soybeans And Salt), Ginger, And Spices, Browned In Vegetable Oil. 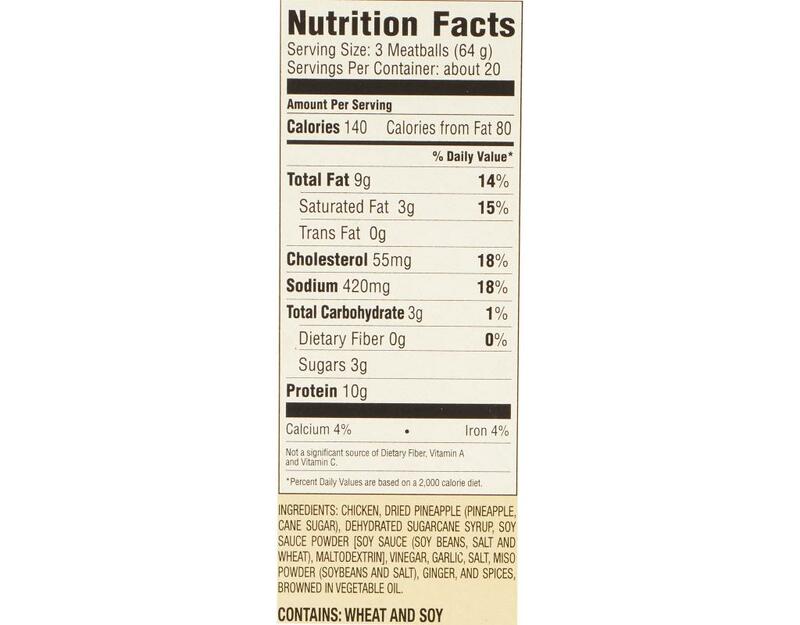 Contains: Wheat And Soy.